Combine classic alongside contemporary with the Vox table lamp from RV Astley. The tapered white marble column combined with antique brass metallic detailing is a modern take on a classic look. The metallic accents are enhanced with added gold detailing within the inside of the creamy round drum shade. 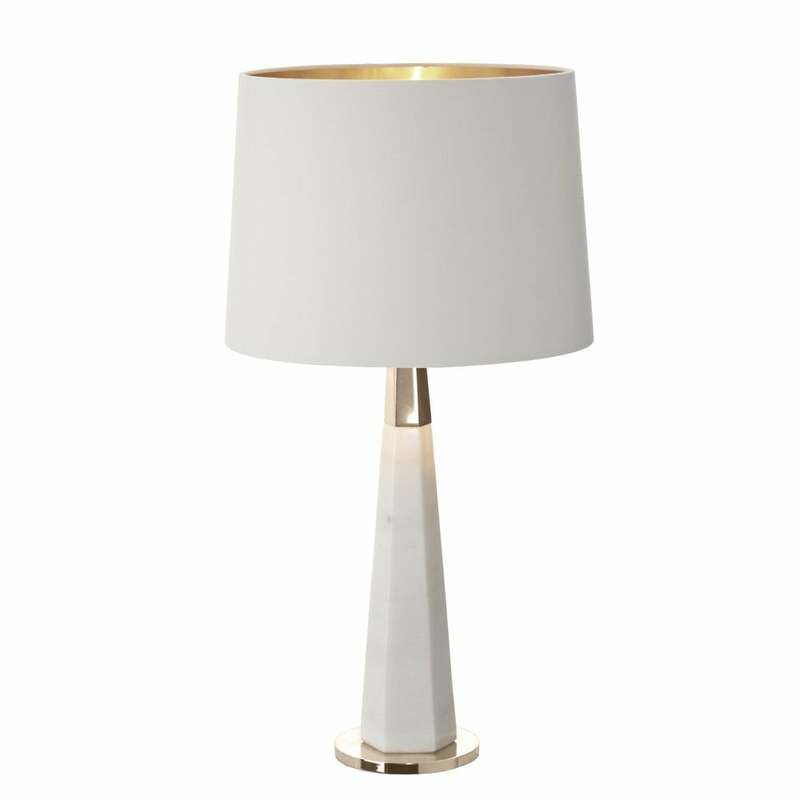 Add a touch of glamour to your interior with the Vox table lamp. The neutral tones used throughout the lamp would be suitable for any living space.